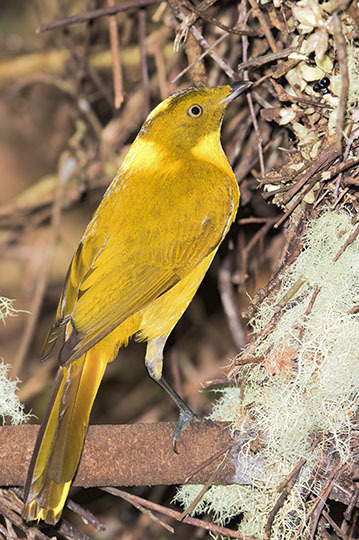 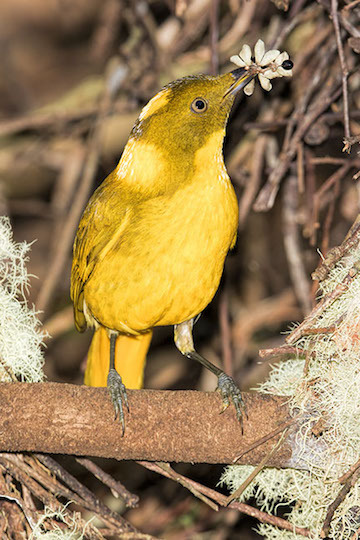 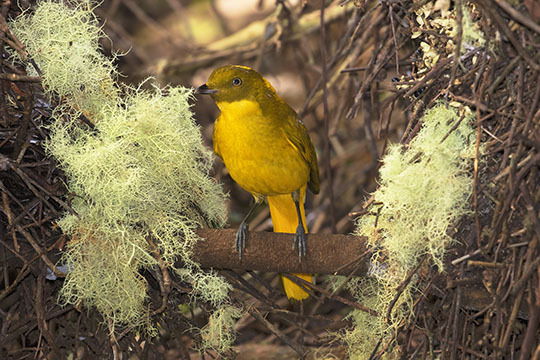 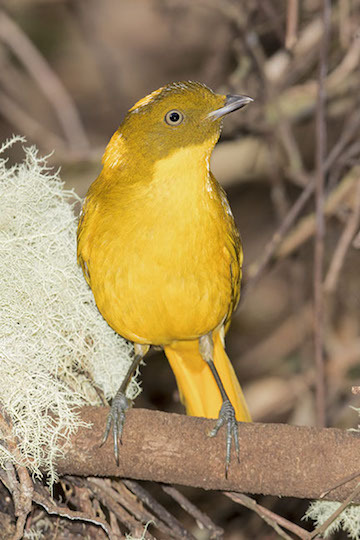 Golden bowerbirds are iconic residents of highland rainforest in a small area of far north Queensland. 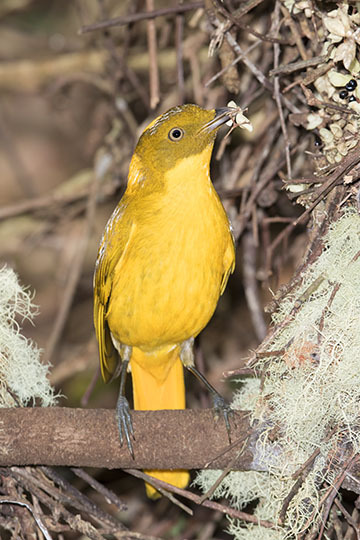 They are the smallest and most colorful of the Australian bowerbirds. 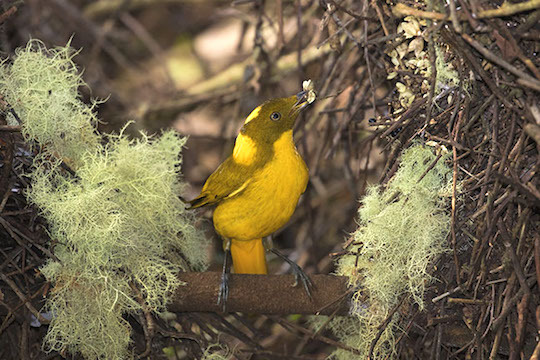 Like all bowerbirds, males build special structures used only for courtship: in this species, two small saplings are decorated with twigs, moss, and berries, maintained almost continuously. 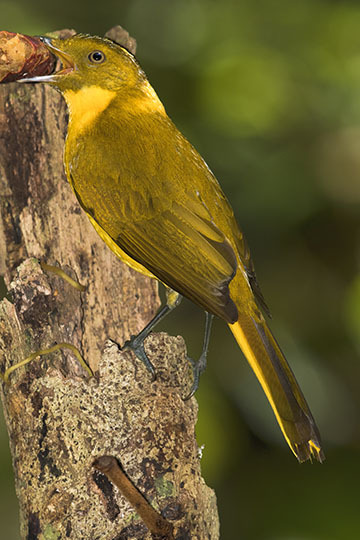 This one was photographed near Mt. 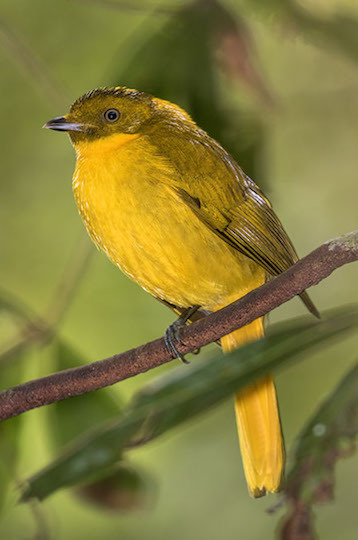 Hypipamee on the Atherton Tableland.